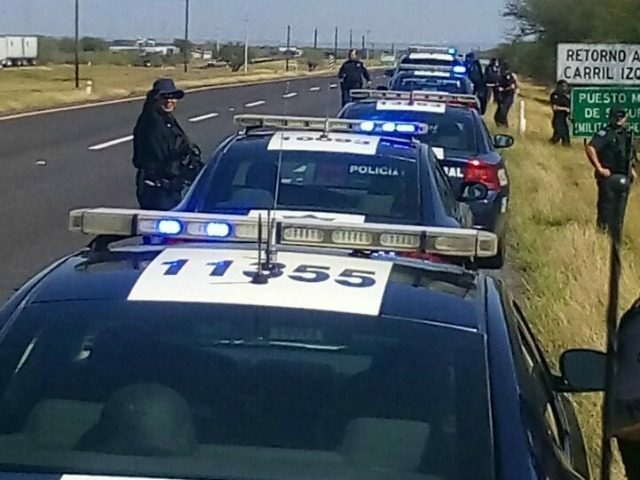 MATAMOROS, Tamaulipas — In an attempt to save the Holy Week tourist season, Mexican authorities deployed multiple operations along highways that connect this border city with the rest of the state. Businessmen are asking the government that operations become permanent. As Breitbart Texas reported, the highways of this state are used by cartel gunmen to carry out various robberies against motorists and passenger buses. The crimes have targeted vehicles with license plates from other Mexican states. The police activities began at the start of Holy Week when federal police officers started an operation called “Co-Pilot”, aimed at stopping bus hijackings. The plan calls for an officer to travel on board like a common passenger while a patrol would follow from a distance. Federal authorities have also increased their patrolling to keep tourism from diminishing after constant attacks from cartel members. Another program is the use of a phone app called PF-Movil, where the user can monitor the highways and includes a line to reach the nearest agent in case of emergency. During the operations, there were no reports of vehicular traffic being affected by organized crime. Various business leaders asked Mexican authorities to implement the various operations in a permanent fashion as a result. Editor’s Note: Breitbart Texas traveled to the Mexican States of Tamaulipas, Coahuila, and Nuevo León to recruit citizen journalists willing to risk their lives and expose the cartels silencing their communities. The writers would face certain death at the hands of the various cartels that operate in those areas including the Gulf Cartel and Los Zetas if a pseudonym were not used. Breitbart Texas’ Cartel Chronicles are published in both English and in their original Spanish. This article was written by “J.A. Espinoza” from Matamoros, Tamaulipas.